This vegetarian soup was born one day when I had a half a bag of spinach to use. 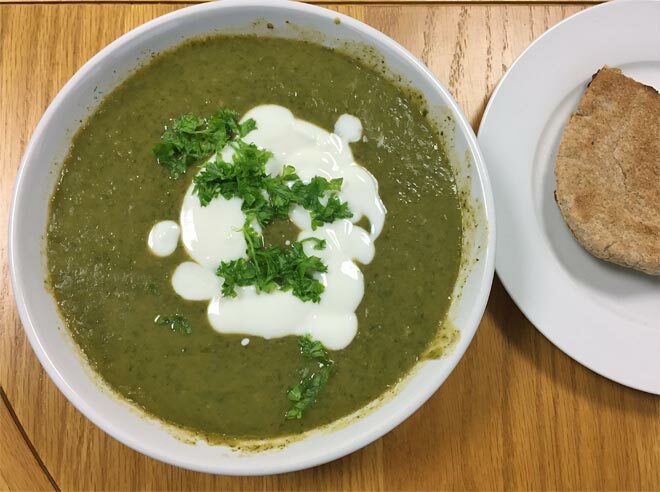 I normally use spinach for chickpea and spinach soup or for lentil and carrot soup with spinach, however, this time I wanted to try something different. I looked around my cupboards and found some sweet potato and also a carton of cannellini beans. So I decided to make spinach and sweet potato soup with cannellini beans. I had no idea how it was going to turn out, it was more like an experiment. 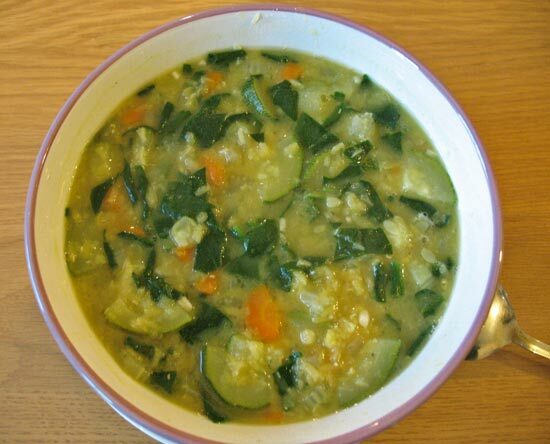 At the end I managed to create a delicious and nutritious vegetarian soup which was really filling due to high protein content coming from cannellini beans. You could try using other type of beans but I would stick to white beans. This healthy soup is not only rich in protein. 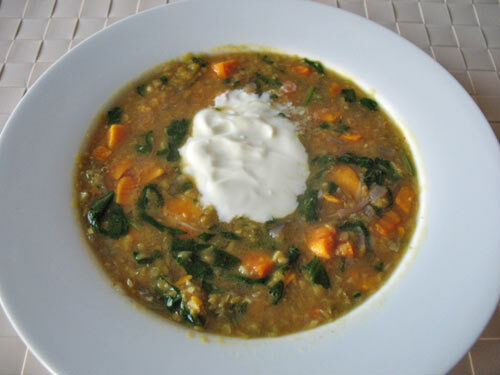 By eating it you will also get a good dose of vitamin A coming from both sweet potato and spinach. Spinach is also rich in magnesium which many of us are deficient in. The soup is really easy and quick to make and I love having it for lunch at work. Quick and easy vegetarian soup. Very filling and nutritious. It looks great and it must be yummy too. It’s been a while since I made a spinach soup, I should make one soon. I really love this soup, it has become one of my favourite soups! This looks yum! Definitely what we need at this time of year! Yes it’s perfect for this time of the year! 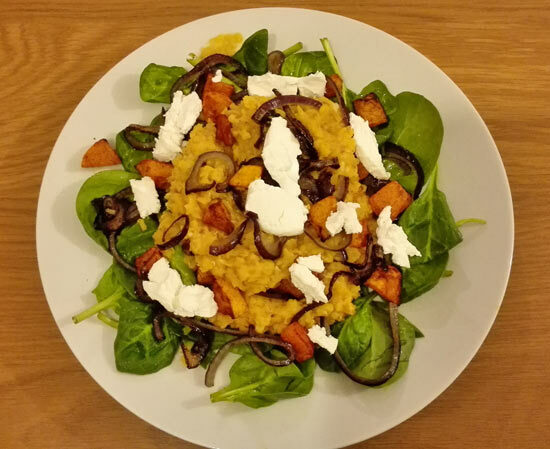 We are absolutely nuts about everything sweet potato at the moment in our home! I can’t wait to try this fabulous soup. I have pinned your recipe to several of my Pinterest boards for later. Thanks so much! I am so happy to hear that you love the recipe and thanks for pinning! This is a healthy and an amazing lunch idea, Petra! Can’t wait to give it a try! I am glad you like this lunch idea Agness. If you do try it let me know how it turned out!